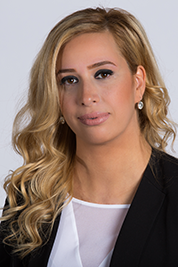 Diana Aoun is an associate lawyer at Langevin Morris Smith, practicing primarily in the areas of criminal law, family law, immigration law, and real estate law. She studied law at the University of Ottawa where she obtained her degree in common law in 2009. Prior to law school, she attended Moravian College in Bethlehem, Pennsylvania where she obtained a Bachelor of Arts Honours degree in both Sociology and Criminal Justice. Diana articled at Langevin Morris Smith prior to her call to the bar in 2010. After her call to the bar, she worked as a sole-practioner in Ottawa where she gained valuable experience in criminal defence litigation, family law, and immigration law. Diana provides legal services in both English and Arabic. Diana can be reached at (613) 230-5787 ext. 324 or daoun@lmslawyers.com.